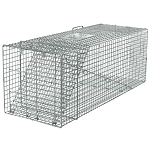 For non-selective control of herbaceous broadleaf and grass weeds. Try it on most plants. 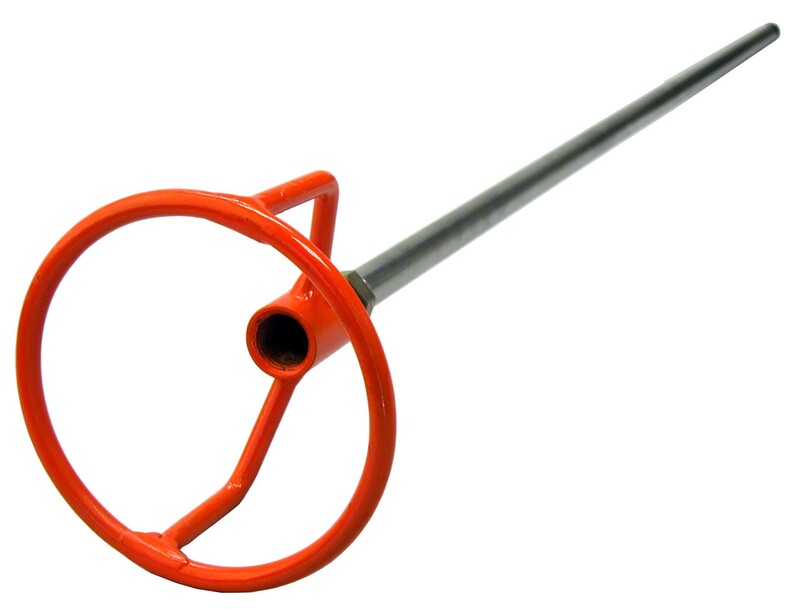 Use safely around trees and shrubs. 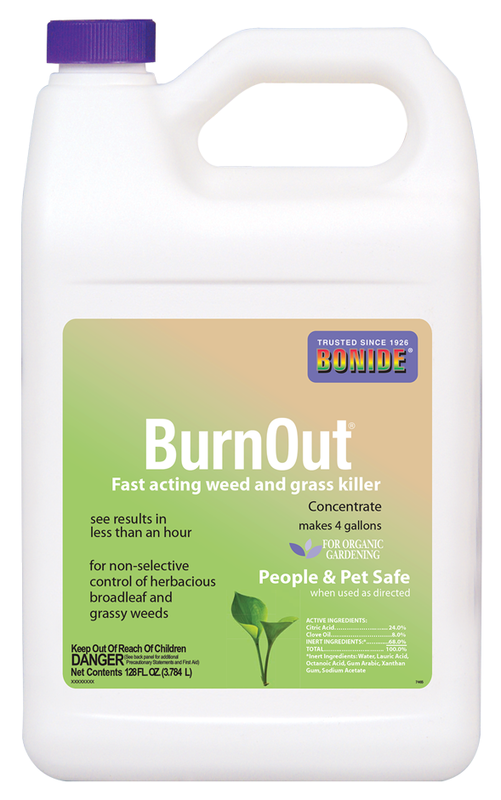 Made of a special blend of citric acid and clove oil and other patented synergistic components, BurnOut works faster and more efficiently than most existing weed controls. Simply spray it on and look for wilting within minutes (typical: 20 minutes on dandelion). You'll see amazing results in three hours and dead weeds and grass by morning. A second shot takes unwanted plants right down to their roots. Hailed by Gardener Broadcaster, Ralph Snodsmith, University Researchers, Botanical Gardens, and used by the New York Port Authority at the Governors Mansion in Albany. BurnOut can be used on walkways, driveways, shrubbery beds and any where else as a post defoliant to control weeds and unwanted grass. Annuals are killed right away with BurnOut, while perennials may regenerate after a single application and require additional treatment. The 2.5 gallons concentrate makes 7.5 gallons (3:1) and will cover a half of an acre in broadcast application.